The Apollo XP95 Multisensor Detector contains both an optical smoke detector and a thermistor temperature sensor for full fire detection. 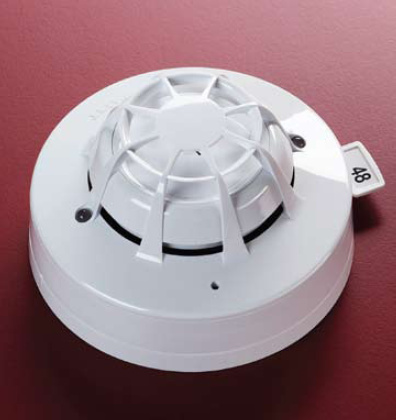 Advanced in design, much like all of the Apollo XP95 range, this smoke and heat detector offers a superior level of technology for your addressable fire alarm system. 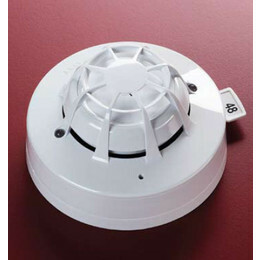 The device itself is similar in construction to the XP95 optical smoke detector, with a strong white polycarbonate casing, however there are space compensations for the extra heat sensor required. Signals from the two sensors in the detector are independently produced and a microcontroller in the unit processes and analyses these two signals. Signal processing takes into account rate of rise information from the thermistor for combination with the optical signal. If this exceeds a set level a signal is digitally transmitted to the fire alarm system control panel. A sudden increase in temperature can cause an alarm too without the presence of smoke if the temperature rise is sustained for 20 seconds. Please note that the control panel in use with this multisensor detector must not have a drift compensation algorithm enabled if using this device.